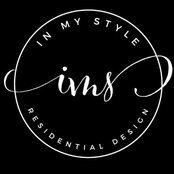 in-my-style is a small Southampton - based studio that offers a full interior design service from concept to completion for residential spaces, always offering bespoke design tailored to your specific needs and budget. Our aim is to extract beauty from the natural space, expose the details and provide optimal functionality in order to achieve a true reflection of you. The diversity of textures and colours is a feature of our designs, in which vintage intertwines with modernity and the old rustic wood perfectly corresponds to the cold stile. Whichever style reflects your personality we will come up with a design that will keep you happy.